It is true that even in the beginning, everything happens by God’s Grace. 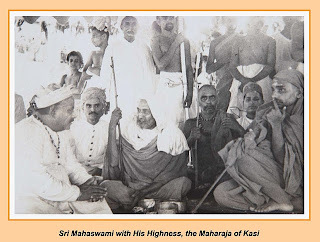 But during those times the JivAtmA was engaged in self-purification and for that to happen well God’s Grace helped. But now the purification task has reasonably progressed. Now the purified antaH-karaNa (inner organ) has to reach step by step the state of experience. ‘Reach’ is really not the right thing; unusually instead of ‘reaching’, now it is ‘giving’. As Manickavachagar said, it is a smart trading. 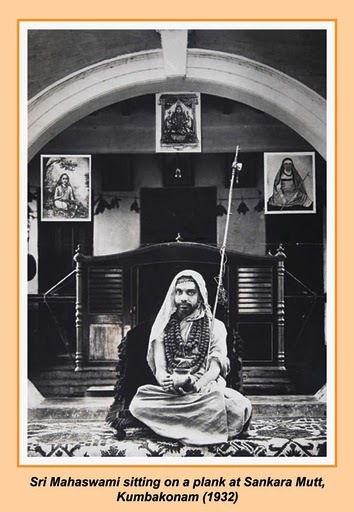 One gives up the JIva-bhAva and receives the ‘shiva-sthiti’ (the state of being the Absolute). But even this is only true in a poetic sense or in the sense of bhakti. In reality, there is no JIva who receives the ‘Shiva’. JIva is gone but Shiva remains! 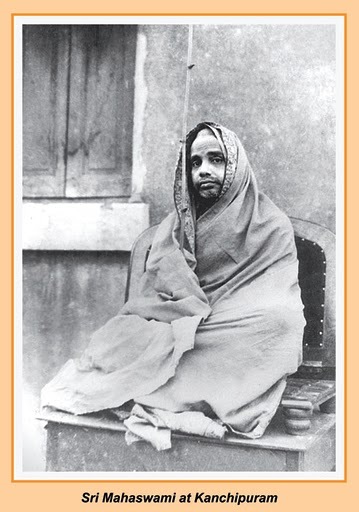 Bhakti has been prescribed for reaching this maturity of the vanishing of the ego. 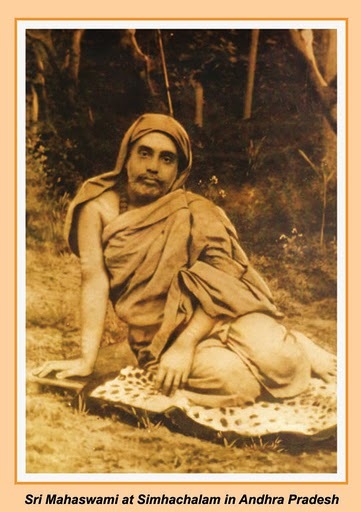 Hereafter whatever is achieved is not to be ‘earned’ as the result of effort by the SAdhanA of the JIva, but they are the solvents of the self awarded by the Grace of God. That is why the SAdhanA-set-of-four ends with ‘mumukShutvaM’ according to the Acharya. 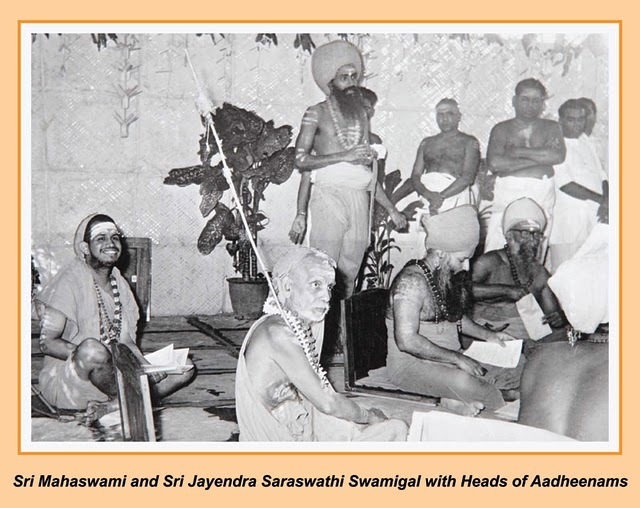 So what happens thereafter is not by the sAdhaka’s effort; He has nothing to earn. They are what he has to do to sacrifice himself. They are shravaNa (listening), manana (thinking) and nidhidhyAsana (contemplation). When we manufacture a cracker we pack tightly a lot of explosive material inside, wrap it up by decorative paper, and make it attractive from outside. All this is done for the final purpose of lighting up the wick and explode it so that nothing remains of that cracker. Here also the ego inside has to be exploded so that nothing remains. In Tamil one word for cracker is ‘vANam’. 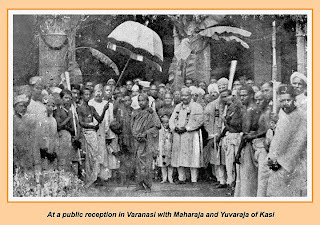 The vANaM’ (that is the ego) is elaborately prepared through a SAdhanA for the final purpose of exploding it and making it ‘NirvANa! The very fact of SAdhanA is for the egoistic individual self. It is not for the Atman. 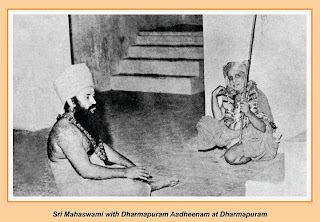 Does the Atman have to do SAdhanA to realise itself? The Atman is actionless and it remains as it is always as Atman. Therefore it is the individual JIva, that has to do the SAdhanA basing its actions on the ego which is the cause for its individuality. That and that is the stage when the ego joins the set of those that are to be discarded. Only when all old vAsanAs are extinguished it will go. The extinction has to be done by means of the JIva-hood itself. The SAdhanA-set- of- four is for that very purpose. after some time one gets the satisfaction “I have got some Discrimination now” and then the effort continues with the thought “Now I shall try to cultivate Dispassion” and this, afterwards becomes “I have cultivated some Dispassion now”. Only when the ‘I’-hood ends there is Realisation (*sAkShAt-kAraM*). Even the word ‘Realisation’ is only a formality (*aupachArikaM*). 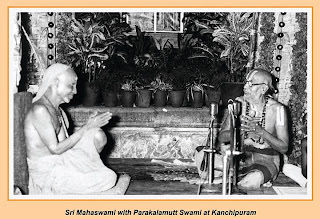 It is actually wrong to say ‘One realises Brahman’. No one can do anything to Brahman. 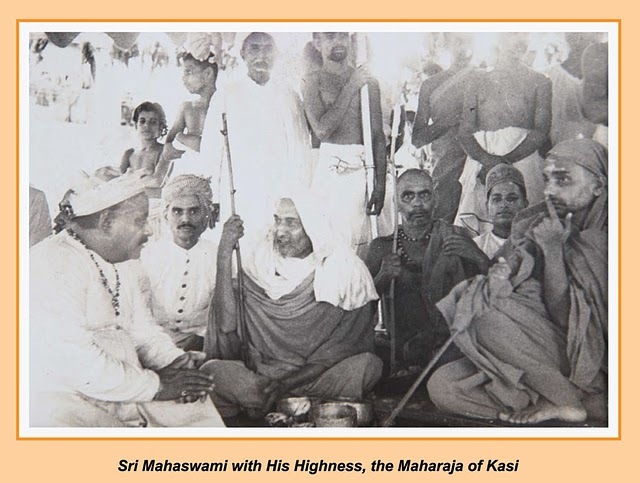 There is no ‘sAkShAt’, no ‘karaNaM’. 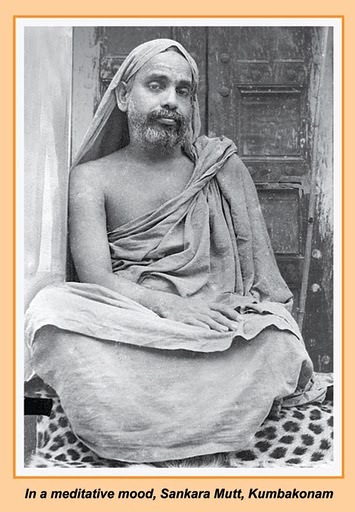 Nothing can be done with Brahman. 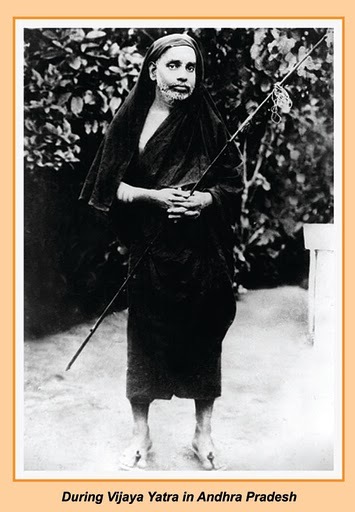 Really what happens is, in that final state this very person (sAdhaka) vanishes. 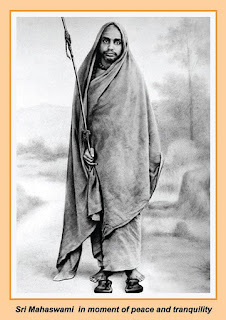 Whoever did the SAdhanA he himself is not there at the end of the SAdhanA; only the goal remains! 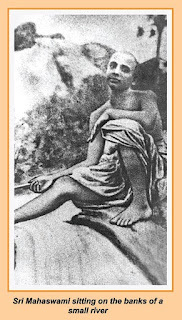 It is this very phenomenon that the great Ramakrishna described as “the story of the doll of salt examining the depth of the ocean”. For what purpose does one begin a SAdhanA? 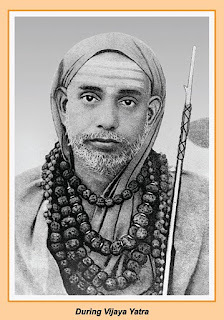 His goal is the thought “I should reach Brahman. I must become Brahman”. And he continues the SAdhanA to reach that goal. But when he reaches the goal, does the ‘I’ who started it all become the Brahman? There is no one to claim that ‘I’ now. The relationship that arises from that is not any more dualistic. One knows that it is to become a relationship whereby the one who relates gives oneself up to the object that is admired and dissolves to the extent that there are not two now, but only one. And then one gets the maturity to practice what one has known. 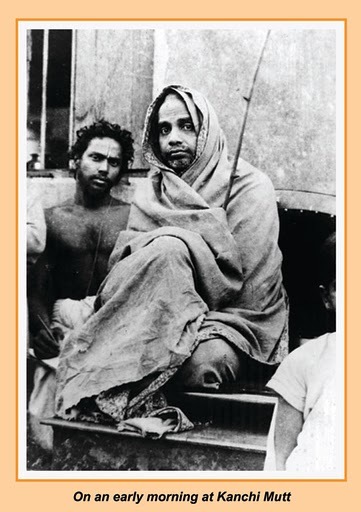 That is where Love has been termed as Bhakti by the Acharya. If one continues in that practice, the maturity ripens further and thereafter there is only the non-dual dissolution! “When We say ‘Love’ or ‘Relationship’ it needs two people. It should not come anywhere near advaita-SAdhanA” – this might be the general understanding. 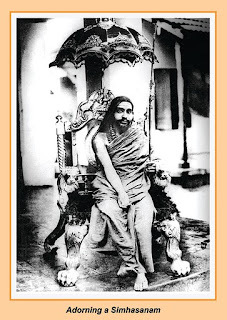 Yes, for a long time during the course of the SAdhanA it remains that way. In other words, understanding love to be limited to just kindliness one is not supposed to bring it anywhere near actions. But in due course of time, by the very fact that a refinement takes place by SAdhanA, one gets to know what true love is. Not only in the case of that phenomenon at the apex level. 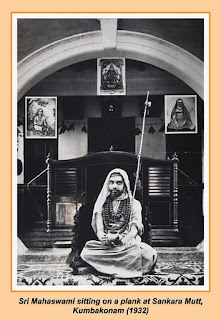 “Whatever I have achieved so far in SAdhanA is all the Grace of God! What I did was effort only. 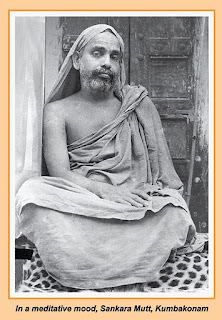 Only by this the renunciation of egotism (conceit and pride), a property most important of all the properties to be renounced, at the time of taking SannyAsa, can materialise. JnAna path has been recommended only for the top-level aspirants. In order for him not to lose his balance by that very qualification of topness, and for his SAdhanA not to be broken by the weight of such extraneous thoughts, the submissive attitude of bhakti becomes necessary. 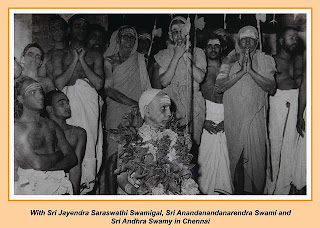 However much we may woo Brahman with love, unless brahman itself does the ‘revealing’ (known as ‘vivaraNaM’), there is no scope for salvation. It is with this thought that one has to submit humbly before the ideal goal. 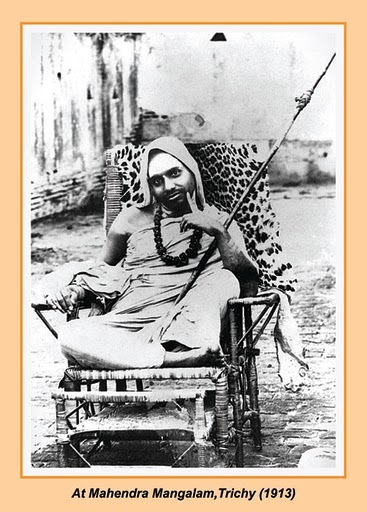 To obtain this submissive attitude it is only Bhakti that helps. 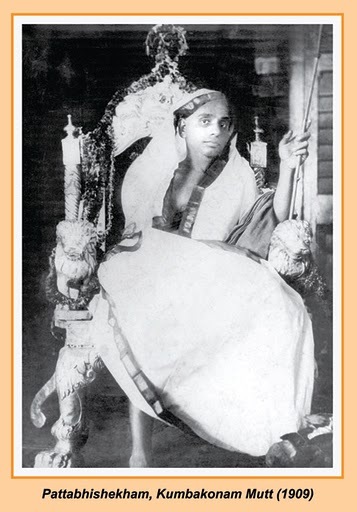 Right now we are talking about the commonly understood ‘egotism’ (‘aham-bhAvaM’, in Tamil). 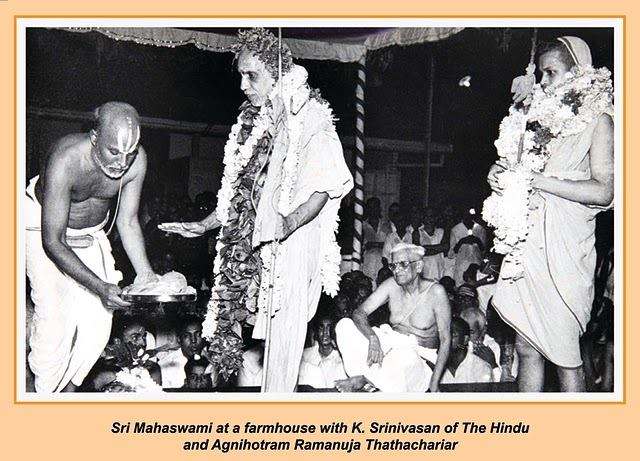 Usually the technical shAstra literature does not make a distinction between ahamkAraM and this aham-bhAvaM’. I am making the distinction for clarity. Egoism is the name given to the ego’s thought of ‘I’ and egotism is the name given to the conceit and vanity of a swelled head. There are two things to be avoided by a sAdhaka. He should not turn out to be dry and lifeless. Secondly he should not fall a prey to conceit or pride. The ego as part of his inner organ (antaH-karaNa) has to go finally. But that is a big task that will be achieved almost at the end. The outside world thinks it is a ‘dry’ world which discards the ‘outside’. But in reality that is the world that is full of the coolness of nectar of love. Outside there is only bark and shell, but inside there is the sweetness of coconut-water. That is the nectar of love which has to be milked from the Thing that is inside everything. 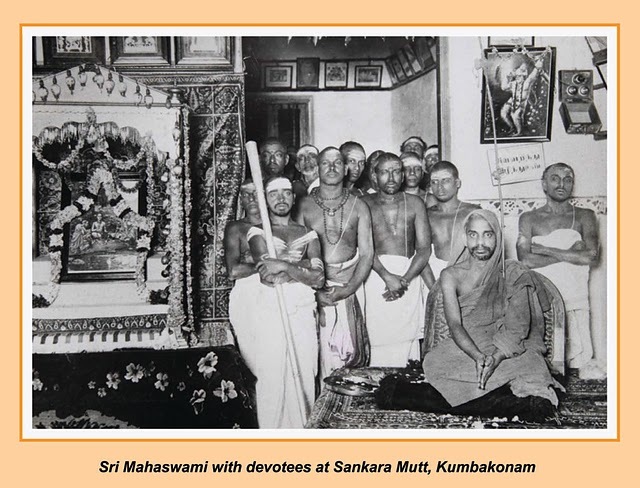 This is the stage of SannyAsa that the Acharya has shown to us with great compassion. 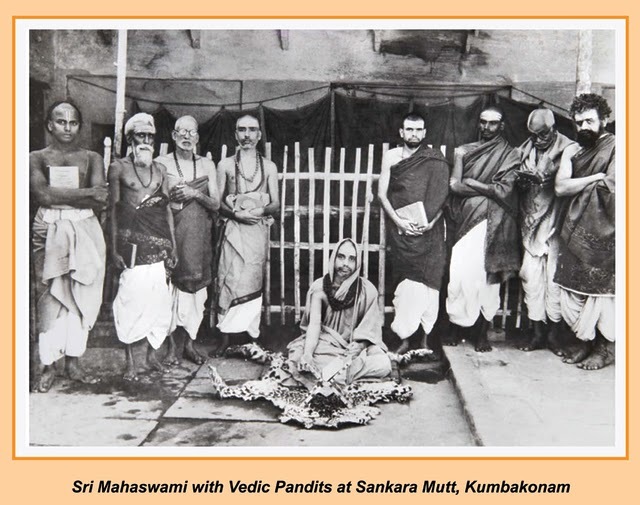 They should be practised with great bhakti as if they were equivalent to the icons with life. All along we have been doing SAdhanA in a dry mechanical way; but hereafter we have to do the shravaNa, manana etc. with great devotion that breathes a cold air. 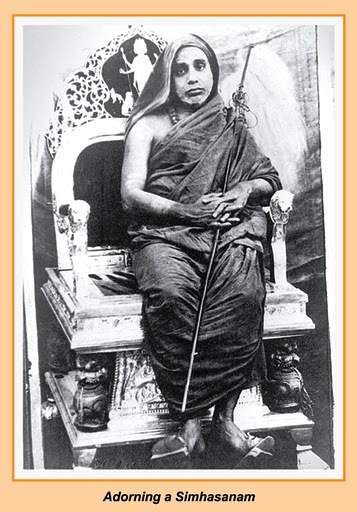 The next step being sannyAsa, one may think that this is the ‘dry’ stage in the SAdhanA. On the other hand, the wet and cool weather is going to start only now. It is dry only from the outside. These mantras as well as the philosophy imbedded in them are equally living things, - not just pieces of information to be learnt from writing. They are living divine things. Just as the icons of the temples which have been ritually invoked by PrANa-pratishhTA, the mantras etc. are deities in the form of the akshharas (letters). We have to set up a relationship with them, a sort of love that takes us to that state where we ourselves melt into nothingness . These principles of philosophy that the Guru teaches us and which are to be absorbed by manana and dhyAna, are wrongly considered to be dry philosophy. When we kept it dry, that was also justifiable. There are methods of cure where the medicine is administered only after one is made to starve. Even among crops, sometimes they are allowed to dry up and then only proper watering is done to cool them and make them grow better. It is the same situation here. We usually are in such a state where, in the mind, intellect and ahamkAra, thoughts, feelings and determinations arise as food for them. It is necessary first to dry them all up. But Vedanta’s Brahman is not emptiness. It is a fullness, full of the quintessence of bliss. 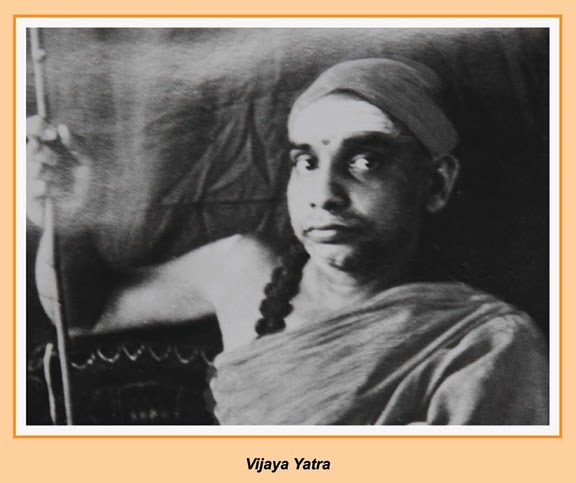 The Taittiriyopanishad has revelled that JIva in its Fullness becomes Bliss itself (II – 7). It is the cit (Knowledge) that has become Life. It is the essence of cit and Ananda, Fullness of cidAnanda. 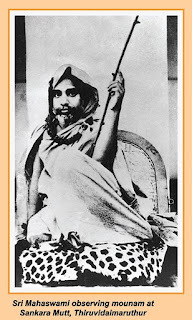 The whole concept of Bhakti is to conceive of it as a living fullness, relate ourselves to it and develop the thought that we should dissolve in that fullness. That is how through Bhakti one cools and waters the dry SAdhanA regimen. Even in chess and cricket also this might happen. But in all these, the beauty of the relationship of one soul giving its all to another living soul is absent. That ‘mAdhurya-rasa’, the taste of sweetness, is what is missing! 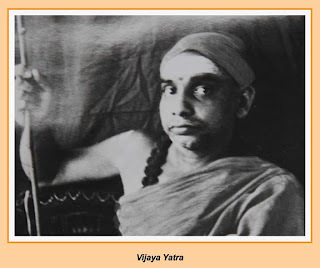 Starting from nitya-anitya-vastu-vivekaM (discrimination between the real and the unreal), the SAdhanA that goes through vairAgya (dispassion), shama (sense control) and dama (mind control) and uparati (cessation), has been a dry affair keeping everything as well as oneself dry like an inert object. There has been no trace of a relationship with ticking life. If one goes that way one will only end up in the emptiness advocated by BauddhaM. In Science also the same self-effacing ‘intuition’ produces the discoveries attributed to Einstein and others. One may say that such scientists did not consider their Science as a living devatA. But all living beings have a super-Being as their common source. That central source is the root source of all the arts and sciences and of all knowledge and action. When the scientists devote themselves heart and soul to their science in a dedicated fashion, it is that common Universal Source of Knowledge that sparks them with that intuition about new truths and discoveries. Another point to be noted is this. What we are attached or involved in is something that has life. In the name of this involvement our little self establishes a relationship. But afterwards, this relationship, as well as itself are all gone and it becomes that. Life! That is important. Life unites thus with life. But here the thing to which we get attached is not for being possessed by us. Instead it should possess us; that is the anguish with which we get attached. What should go is the so-called individual self or ego. To whatever we attach deeply for that very purpose, that is Love, that is Bhakti. But just because love or Bhakti is but a deep attachment to something, it does not mean such an involvement in chess or cricket or being a bibliophile is Love or Bhakti. Because such attachment is all for fattening the individual ‘I’. In other words it feeds the ‘svayaM’ (the outer self). On the other hand feeding the ‘svayam’ (to the Self) – that is, the ‘svayam’ is to be fed to the Self -- is Love or Bhakti. 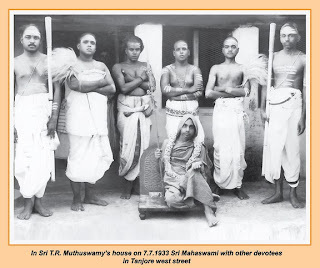 This is the grand ‘svayamvaraM’ wherein the bride is ‘fed’ to the bridegroom! However, if there is the thought that it might still be better if there is a saguNa-mUrti for directing our Love, especially at the beginning of this advanced stage of SAdhanA, then certainly there is the Guru. Pour all your Love and Bhakti on him. He will lift you up and make you direct your Love towards the nirguNa. –‘By the Grace of the Guru, the effort will become pravRtta and will give the desired result’. After all what is Love? Is it not what goes and attaches to you wholly? Gratitude, that is very important. 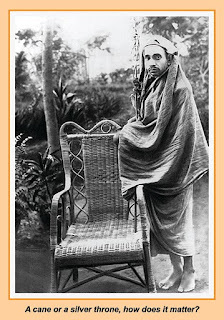 The Bhakti that arises out of this gratitude – gratitude to Him who has directed us into this most remarkable advaita -- raises its head now and then. Of course we may have to maintain it for a very short time and quickly resume our journey. 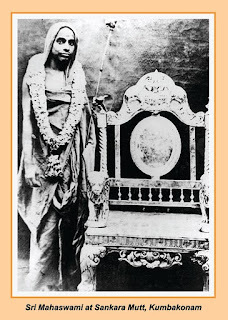 However, this Bhakti of short duration is so intense that all that bhakti that we did long ago for the one-pointedness of the mind pales into insignificance. When we were carrying on that Bhakti almost incessantly, it was like a routine, and sometime lifeless. But now on our jnAna path, a certain bhakti shoots forth as if from an underground spring, along with a sense of gratitude, and even though it is only for a moment, it is full of life. But since our objective is nirguNa, even from this, the mind has to be turned off. 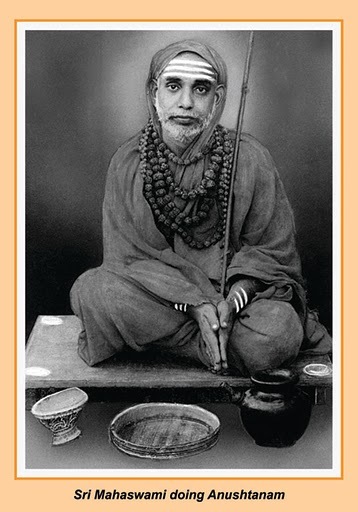 If you want you may believe that the nirguNa brahman, in order to shower its grace on you, works for just that moment like saguNa, and then after sending you inside the core of your heart, within there it remains nirguNa and takes you over. Instead of resorting to such wishful thinking, the best thing would be to go forward with shraddhA and shraddhA alone! Memory does go back to the Ishvara (saguNa brahman). As long as there is a mental action, thinking of anything good does bring back the memory of Ishvara, who is the aggregate of all that is good. 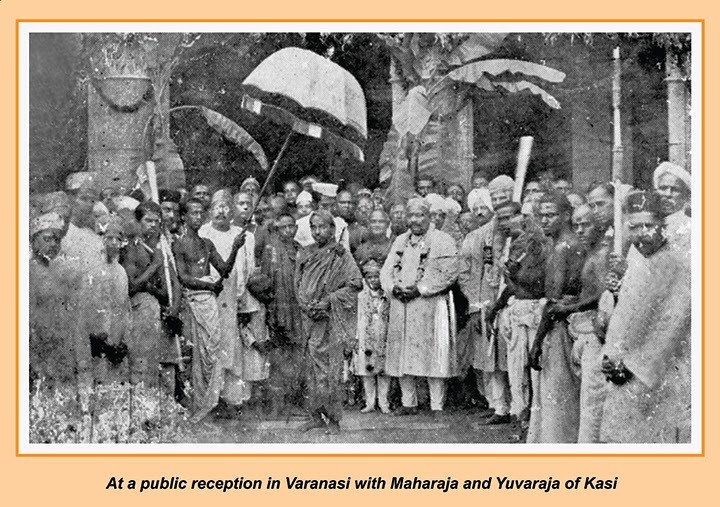 Except for advaita, all the other schools of thought earmark him as the destination. How can an advaita-sAdhaka not think about Him? 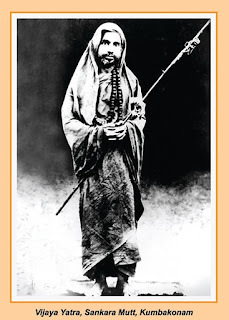 - This is a kind of expression of gratitude for the path so far trodden and a prayer for the path that is remaining, so that the mind still stays on the nirguNa principle. Just now I talked about the Atman that tests, the Atman that reveals itself, the Atman that does the action of taking over the surrendering self. 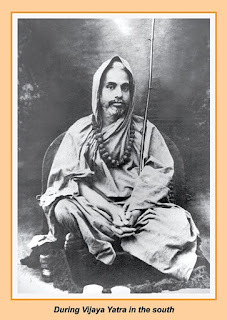 “Do all these mean that the Atman is not nirguNa but only a saguNa that does actions? If it is saguNa then that is not our objective. How can that be so?” – such questions may arise. This is where one has got to bring in shraddhA (Faith)! Our Acharya, who takes great care to show us the way, has already created this bodyguard of shraddhA for our protection! “Don’t ask questions about saguNa and nirguNa. The very Upanishads which have talked elaborately about the nirguNa Atman has spoken at this point only thus. Take that in full faith and give yourself up to the Atman with Love. Thereafter you will be taken only to the nirguNa Absolute, so say all the Upanishads. So proceed just on faith” – this is what you have to repeatedly remind yourself and function.